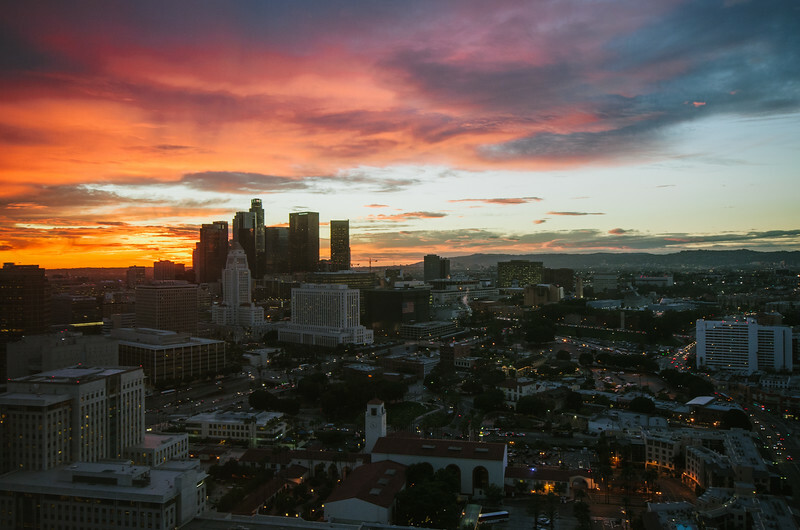 The sunset on Nov. 22, 2013, over downtown Los Angeles. The photo was taken from the 25th floor of the Metro headquarters building behind Union Station. I was shooting through glass in a lit room -- couldn't get access to the roof. It was really hard to avoid a reflection and I think there's a hint of one on the top left side. Luckily it's not a distraction from the scene. All photos were taken with my Nikon D5100. I used the Nikon DX 10-24mm lens for the first two and the Nikon DX 85mm micro lens for the third image. Please see more of my work at my SmugMug site, where prints are available. Click on any of the photos above to buy a print and then click on the 'add to cart' button at top right of the image. Prints are cheap -- 8 x 12s begin at $11. All photos are ©Steve Hymon 2013 and may not be used elsewhere without my advanced written permission.